I’m not even going to sully this post with a wordy intro. Because this Triss cosplay from The Witcher 2: Assassins Of Kings, pretty much speaks a thousand words of awesome. I swear, it’s as if Triss jumped out of the game and into real life. But then again, that’s what some dedication and a great model will do, as this cosplay by Jessica Dru which was designed by Manzi DeYoung will do. Hell, the suit was even used by CD Projekt Redd for promotional events. Now that’s how you know a costume is a winner. Check out the photos below from Greg De Stefano. Just…damn. I’m impressed at the detail and authenticity here. I truly am. 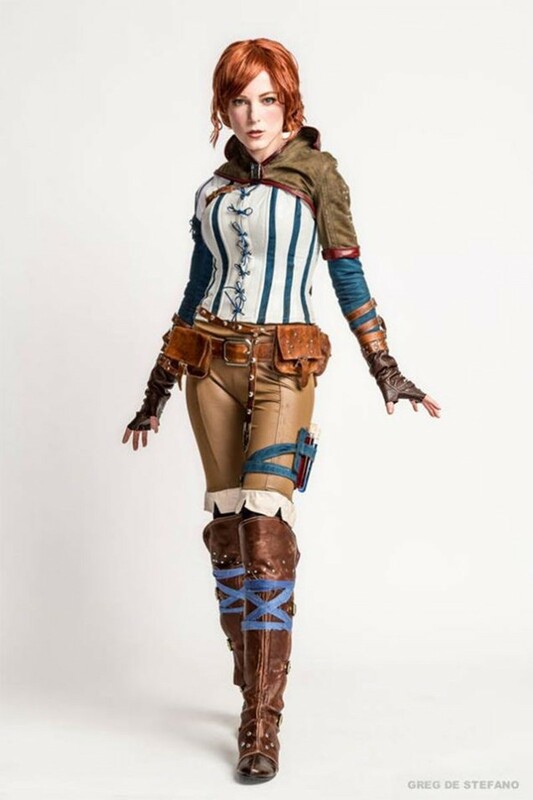 And now I know I could never pull off a Triss costume at that level. Doesn’t mean that I won’t try however.